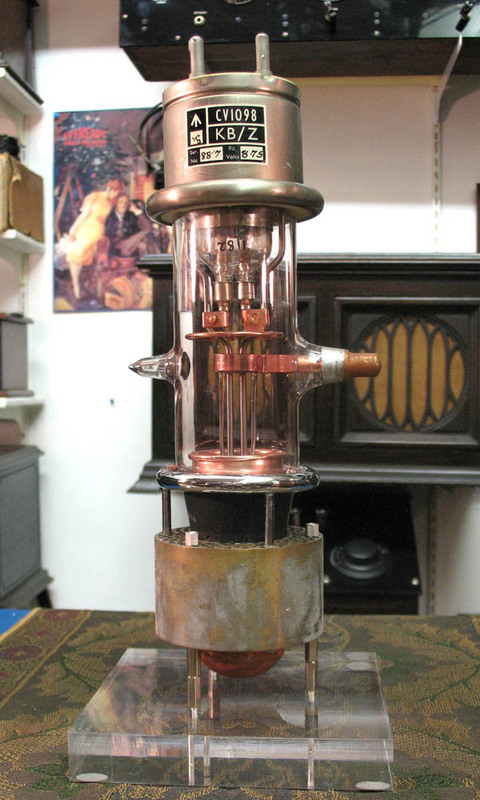 Thoriated Filament version of the VT58 Pulsed Radar Triode of 1936. The valves were used in the Chain Home Low transmitters during the beginning of WW2 of such importance in the Battle of Britain. 50 KWatts at 200Mhz using two valves in push pull, of pulsed power. 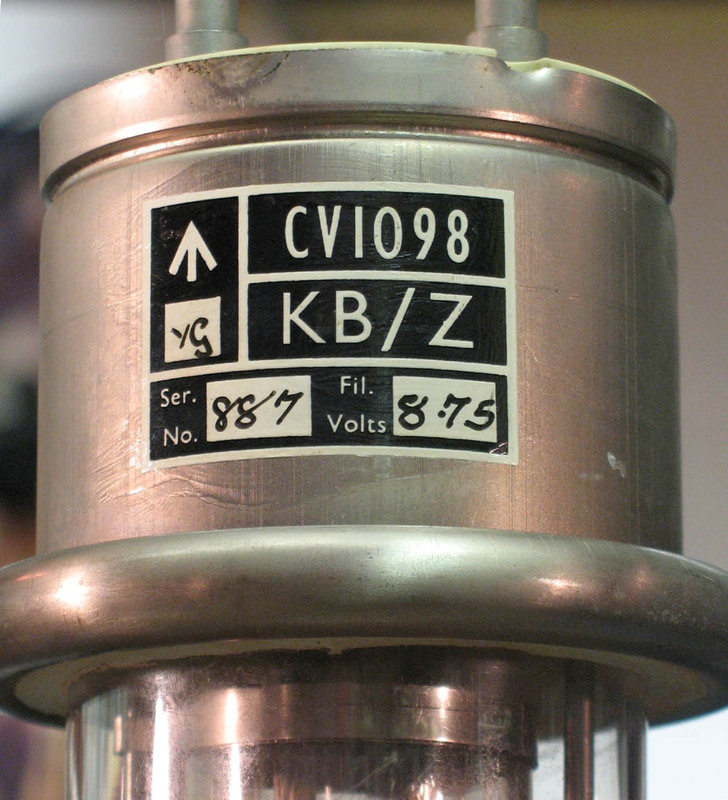 Developed from the 1936 ACT10 TV transmitter valve. at the 2010 Charlotte Antique Radio Conference.